Romance and adventure go hand-in-hand when a set of identical twins with powerful psychic abilities work for the military. Sergeant Jinn Dennison goes AWOL when her sister, Julie, is shot and nearly drowned in a Mexican rainforest. 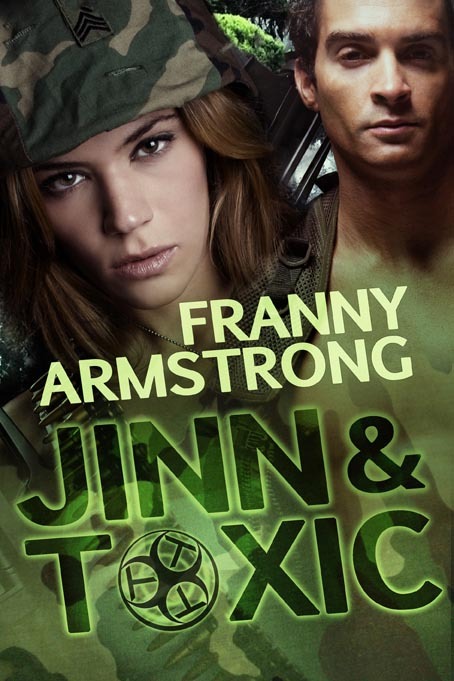 When Jinn’s mistaken for Julie by her captain, she soon finds herself branded a traitor. Tab, (Toxic) McTavish never would have believed Julie would ever betray the team, yet something was strange about her all of a sudden. Toxic Tango Troop’s mission was to take down a drug dealer by the name of Iceman, and get out of Mexico fast, but a traitor in their midst has given them away. While on the covert mission, he tries to find his kidnapped sister, Tara, but Jinn wants to rescue her own sister, whose life is in jeopardy. After a long, uneventful day, Jinn was exhausted and tired of waiting for Tab to follow through on his threats. With no chance to get past his defenses and the team never far away, she remained captive. There’d been no contact from Julie, but the mild pain in Jinn’s chest assured her that her sister was alive. They’d found few signs of humans passing, and the trail was getting cold. Many of the teammates were getting frustrated. Jane Burgess, one of their female soldiers who they called Spitfire, was a prisoner of the enemy and that boded ill for her. From what Jinn had seen with Angel, the rebels were brutal with women. Angel still hadn’t spoken more than a few words since her release. She’d withdrawn into herself as though to block out the world. Tab and Gonzales watched over her. Jinn studied Tab as he fed the woman and realized by the tender care as he wiped some meat juice off her chin with his thumb that he had feelings for her. A twinge of jealousy reared its green head. Jennings sat down beside Jinn and studied her for a few moments before she spoke, the first of the soldiers to even acknowledge her since she’d been unveiled by Tab. A flush turned Jennings’ cheeks red as she stood. “As long as your job doesn’t jeopardize the rest of us, I’m good with that.” Jennings stood and moved off to sit with the others, leaving Jinn to her thoughts. The hairs on the back of her neck stood up, and she realized that someone was watching her, she looked up and met Tab’s brooding gaze. Her lips tingled at the memory of his mouth on hers, his body mastering her on the ground earlier. She licked her lips unconsciously and nearly grinned when his eyes dropped to watch the movement. He might pretend to be impartial, but by the growing bulge in his pants, he was anything but. Tab turned around and disappeared into the forest. Satisfaction was a sweet tool.